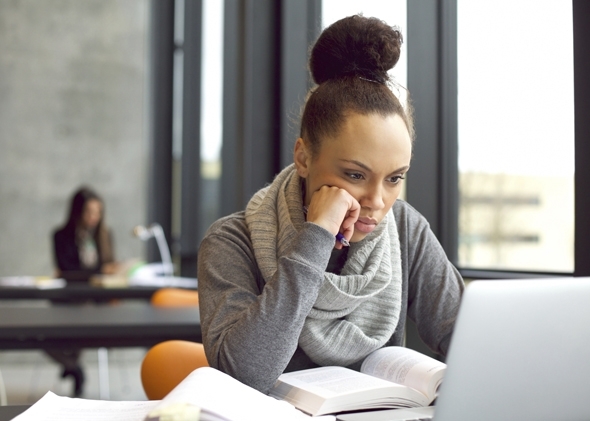 This guide will help online and distance students understand and access library services. It is also a good help for on-campus students who need to access library resources from home. This guide is specifically designed for students who are enrolled in one or more online classes at BPCC. It will direct you to all of the resources we have to support you in your studies and teach you how to most effectively use those resources. We recommend starting with our video tutorials. They will give you a good introduction to the library, its resources, and how to use them. Scroll Down for Library contact information and hours. This guide is organized by pages organized along the left side. You can access all of the information on a page by scrolling or by clicking the links under each page. The Home page will give you information on how to use the guide and basic information about the resources available to online students. It is best to view this guide in Mozilla Firefox or Google Chrome. Make sure your pop-up blocker is turned off when viewing Subject Guides, BPCC Databases and e-books! The library owns over 45,000 items, including books, magazines, DVDs and Blu-Ray's, as well as a growing digital collection. Our electronic resources include indexes and databases which contain numerous newspaper articles. The BPCC Library is a member of the LOUIS consortium. Research assistance is available from professional librarians and staff members. Library instruction classes are offered for all courses. E-Mail a Librarian if you have any questions. Information from the Advising Department. Find information on textbooks and purchase supplies.